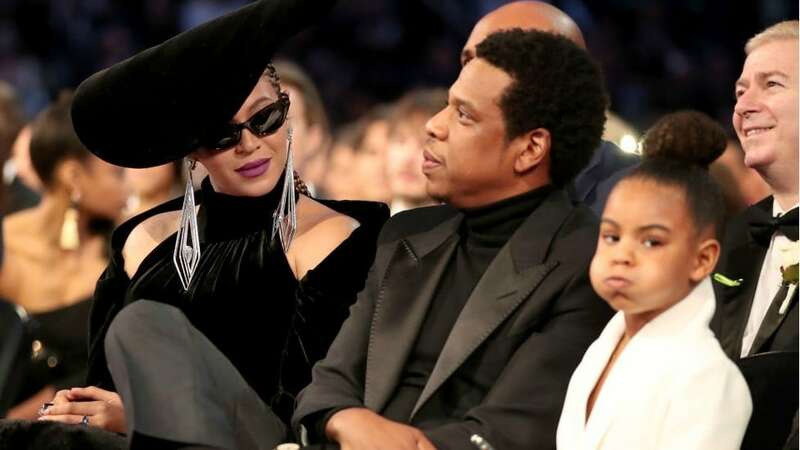 It’s clear that the Carters already have their hands full with their eldest daughter Blue Ivy and Twitter can’t get enough. Saturday night Beyoncé and Blue attended the 2nd Annual Wearable Art Gala in Los Angeles, in matching gold dresses. In a nod to the biggest movie of the year, the evening’s theme was “From WACO to Wakanda” with everyone’s outfits reflecting the ever growing influence Black Panther. The annual event was a family affair hosted by mom, Tina Knowles Lawson, and step-dad, Richard Lawson, with Beyoncé being honored for her humanitarian work at the Gala, alongside her mother in-law, Gloria Carter.